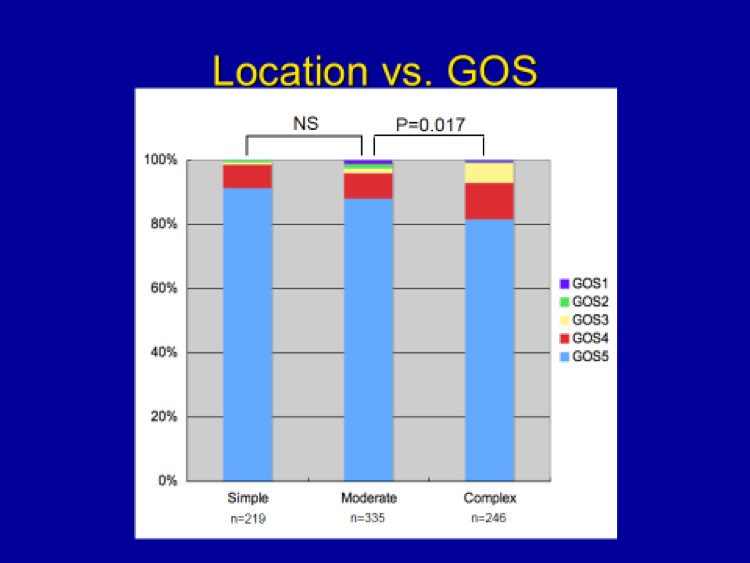 No death was encountered in the “Simple” location group, and the overall incidence of excellent outcome (GOS 4 & 5) can be seen to be decreasing in a step-wise fashion going from the “Simple” to “Moderate” locations, then going from the “Moderate” locations to the “Complex” locations. In summary, patients with meningiomas in “simple” locations do very well following surgery compared to those with tumors in more difficult or “complex” locations. Location does matter in determining the outcome following meningioma surgery.